Each session is designed to make you feel better and to work towards your goals. I use a holistic approach, combining multidisciplinary skills to sessions and programs. I don’t believe in sticking to plans and will always adapt sessions to accommodate how you are feeling that day. I’m not a fan of big machines or quick fixes, instead focusing on making permanent changes to your lifestyle and using free weights, small bands and your own body. This also means programs can easily be replicated at home. New clients will be asked to complete a health screening questionnaire to help me assess your needs and confirm that I can help you reach your goals. If I can’t help, I will be able to recommend someone who can! A single individual consultation or review costs £47. 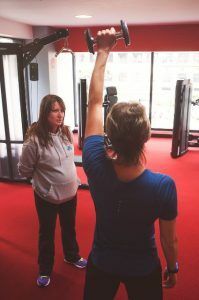 Class students will receive a discount on all personal training packages. For group, semi-private or corporate classes and workshops, please contact me for prices. Email sian@feelgoodfitness.org or phone 07804 239070.